I want to avoid as many personal blog posts as possible, but I also wanted to talk about how I started watching anime. So stop reading here if you don’t care to know about my own personal story. The point where I started watching anime on a daily basis started in my seventh grade year. It was Thanksgiving break and I was spending the night at a friend’s house. This friend is younger than my by a few years, so usually we would watch Scooby-Doo together. One day, she brought home a new television series from the library. It was Sailor Moon. At this point of time, I hated Sailor Moon because it scared me. When I was seven, I went to a Chinese language camp. At the camp, each cabin group won awards for singing songs in Chinese to acquire fake money in which we could bid to buy nice prizes. My group won the prize of watching Sailor Moon. I had not watched the show since, but I agreed to watch it with my friend. To my surprise, I ended up liking it. 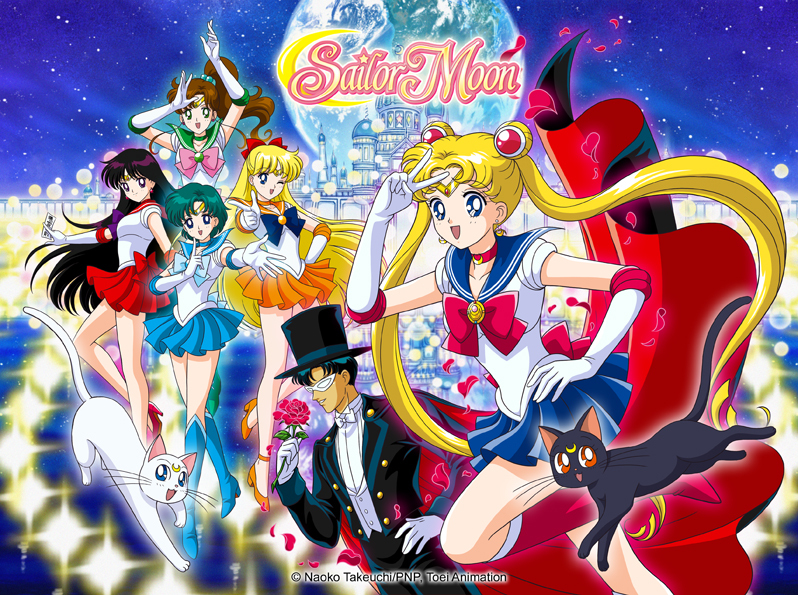 After devouring the Sailor Moon series, I watched many YouTube videos about funny Sailor Moon moments within the movies/anime. One series of videos in particular had different anime music in the background of the video and funny comments before each clip. I enjoyed these videos for the clips, but I also noticed I really liked one of the songs for one of the videos. I looked up the song and discovered it was the second opening to the InuYasha series. I had heard about InuYasha before because of a classmates backpack, and I decided to only watch the first episode then stop. Let’s be honest, the one episode limit never works. I ended up watching this whole series too. By the time I hit the last season, the Final Act, I discovered that not all the episodes were out and I had to wait a week for every new episode. Finishing the InuYasha series made me fall more in love with anime, and I kept watching more and more series. Currently I am a first year college student going into my second semester of college. Upon entering my current college, I thought they had an anime club, so that swayed me to go there. Unfortunatly, or maybe fortunatly, there was not anime club, so I started an unoffical club of my own. I was surprised how many people were open to watching anime and how many people already watched anime. Along with the start of an unoffical anime club, I started a scanlation group. It is called Work In Progress Scanlations or WIP Scans for short. The group will start working after winter break, and you can learn more at our website. As an anime fan, I personally enjoy reading fan fiction, reading doujins, and watching AMVs and MMVs. I have tried to make my own AMVs and MMVs, but I am not creative or patient enough to finish one up to my standards. I also have written fan ficion. None of the fan fiction is published yet, but I hope to do so in the future. I cannot draw, so I stopped trying, but I do enjoy taking art from zerochan.net and using the characters there to make my own backgrounds. (By the way, all the artwork used on this site is from zerochan and none of it is mine. If you wish to claim the art, email me and I will give you credit or take down the art if you so desire.) I have yet to go to an anime convention, but I will make it one day. I play the app Love Live School Idol Festival, and I own Love Live Weiss Schwarz cards. Here is one of the computer backgrounds I’ve made. As stated on the about page, my favorite anime is Love Live School Idol Project. This was not always the case. For the longest time, my favorite anime was Zero no Tsukaima. I loved the fantasy and magic of the anime and the humor. My favorite voice actress is Rie Kugimiya because she plays many of my favorite characters including Louise from Zero no Tsukaima and Taiga from Toradora. My favorite anime song is Discotheque from Rosario Vampire, but I love many different anime songs. I hope this was an interesting story. I love meeting people who enjoy watching anime. I try to keep my anime repertoire pretty open, so I can talk to many people about anime. I love finding new anime too, so if you want to talk or suggest message me whenever. Hey guys, this is Feiyon. I just wanted to start the first post off with an explanation about the blog in general. For a while now I have wanted to start my own yuri blog. It is one of the genres I know the most about, and the blog would allow me to share my own opinions on my favorite yuri animes. I was a little to insecure to start this on my own though, so I asked two of my anime friends to join me in this endeavor. 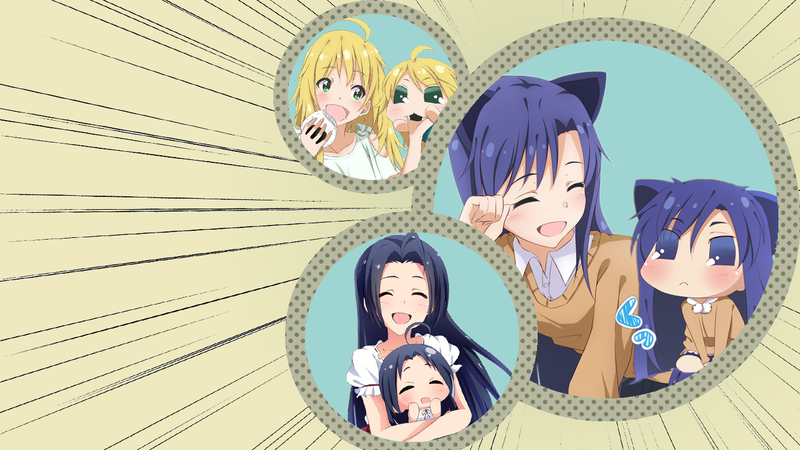 Since they are not as avid yuri watchers as I am, the blog will be about all kinds of anime. 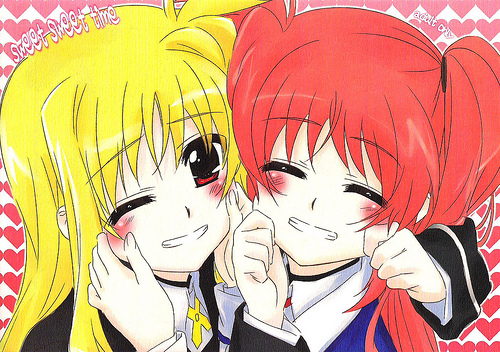 No worries yuri fans, since I am the main manager of this site, I will still get yuri on here. So every day you can expect a post about something anime related. It could be a review, a top 10 list, or etc. I hope whomever is reading this will enjoy and don’t be afraid to add your own options in the comments. Hope everyone is having a great start to the New Year.